Glamorgan Cricket are pleased to announce that all-rounder David Lloyd has signed a two-year contract extension, which will keep him at the club until 2021. 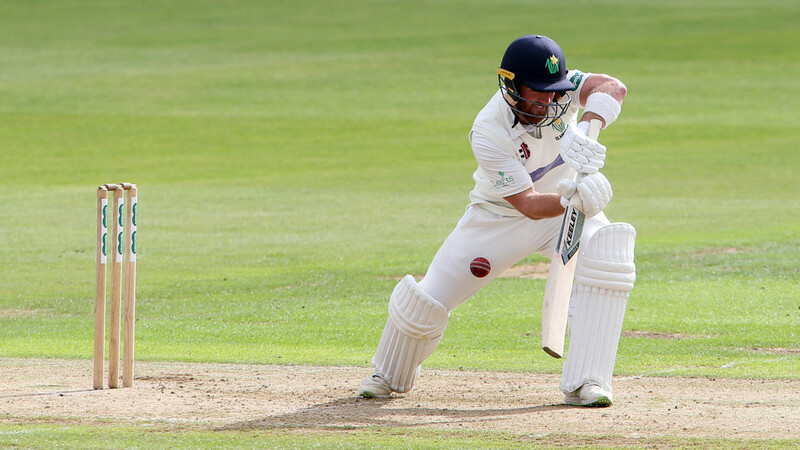 A product of the Glamorgan Pathway system, Lloyd made his debut for the county in 2012 and has been a permanent fixture in the side ever since. During his career, the North Walian has amassed over 2,200 runs in First-Class cricket with four centuries and has taken over 50 wickets. This season the 26-year-old struck a First-Class career-best 119 against Gloucestershire and followed it up a month later with 92 against Middlesex in the Royal London One-Day Cup - his career-best List A score. After signing an extension with his home county, Lloyd, said: “It’s obviously exciting and I’m immensely proud to extend my contract with Glamorgan. “We’ve got a good core of young guys coming through and hopefully we can push on next year as a team and I looking forward to being a part of it. Chief Executive, Hugh Morris, said: “David has come through our Pathway system and has proudly represented his home county for several years. “He is a proven performer across all three formats with both bat and ball and was having a strong campaign before injuries curtailed his season. Hopefully next year he puts his injuries behind him and can carry on improving and fulfil his undoubted talent.